I have been working really hard on my not on the high street shop recently listing lots of new items as well as re-shooting my photos so that they are all streamline. It is really starting to shape up into how I imagined it. Photography is really not my strongest point and I have been practising a lot on the best ways to show off my designs. I really like the images and think that they work well, I hope you all do too. 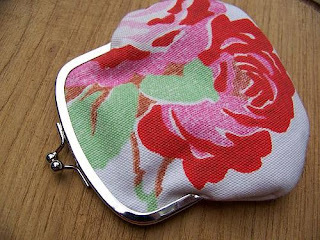 I have also been making new rose brooches and experiamenting with purse frames to create a new range of coin purses. I am so happy with the results. 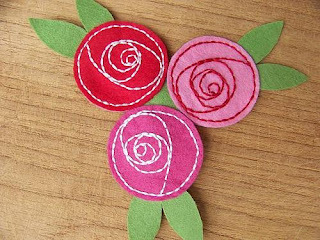 New brooch designs with double and triple bouquet brooches. These are great to create a much bolder statement with your accessories. I love this triple red, pink and fuchsia one. The framed purses have also came out really well, I love the huge rose print on this one but there are also polka dot and check print ones to follow. I also have lots of exciting new plans and ideas for my not on the high street shop too but I will tell you about that later on.